Advanced Dermatology Review: Is it For Me? There’s nothing worse than waking up one morning to realize your skin suddenly has wrinkles where it was once smooth. Aging is something many of us try to avoid, but none of us (unfortunately) can escape. Luckily, thanks to the power of modern science, some powerful skincare products on the market can significantly improve the appearance of skin, not to mention, nourish it from within to give it a healthy glow. For those looking for a solution to stubborn wrinkles, finding the perfect product can feel like a miracle. We’ve all seen the before and after photos online from various brands, but with so many skincare products for sale, it can be difficult to distinguish those that actually work from the countless online scams. Advanced Dermatology is one of the many skincare brands currently on the market that you may have heard of. In recent years, this brand has gained some popularity for its exciting claims and impressive results. To help you determine if this brand is the right wrinkle solution for you, we’ve put the product to the test to offer all the info you need to know before buying. 5 Final Verdict: Does the Kit Work? 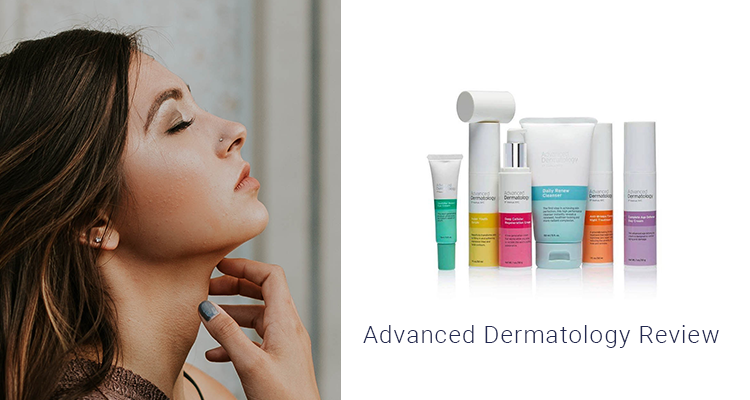 Advanced Dermatology is a relatively new skincare brand on the market that aims to combat the effects of aging by working beneath the skin to nourish from within. Each product sold by Advanced Dermatology is specially formulated using plant-based ingredients, antioxidants, peptides, and bioengineered epidermal growth factors. Plus, the brand is proudly paraben-free. Rather than just offering a handful of products and a one-size-fits-all approach, Advanced Dermatology sells products as part of a system. Each item in the kit is intended to be used together for the best results. From cleansers to serums, lotions to creams, each type of product targets a different aging concern to leave the skin looking and feeling youthful and radiant. Click here to see our highest rated reviews. In addition to the product claims, Advanced Dermatology offers a 30-day satisfaction guarantee or your money back. As stated above, Advanced Dermatology offers a multitude of products that are intended to be used together as a skin care system. Below we have outlined each of the products in the kit to give you an understanding of their unique benefits. The first product in the Advanced Dermatology kit is the daily renew cleanser. This product is designed to thoroughly cleans the skin and remove any unwanted toxins, oils, and debris that can clog pores and cause skincare issues. The cleanser itself is very delicate on the skin and contains plant-based extracts like rosa rubiginosa seed oil, rose hip, and grapefruit seed oil which offer several dermatological benefits. This cleanser is also paraben-free. The Super Youth Serum is designed to stimulate the natural production of collagen in the body, to give you more youthful and radiant skin. This product claims to “dramatically reduce” lines and wrinkles to fight the effects of aging through anti-oxidant protection. Collagen is naturally produced in the body to repair and replace skin cells. However, collagen production typically declines as we age. The Super Youth Serum aims to jump-start collagen production by using a synthetic tripeptide (tripeptide-5). Those with oily skin may also appreciate this serum as it is formulated with a silicone base. This makes it easy to glide over the skin and sink into the pores. This item is also paraben-free. Designed to be worn overnight, this Advanced Dermatology product allows you to get your beauty sleep truly. Before you go to bed, just apply a generous amount to your face and let it sink into the skin overnight. The ingredients in this formula work together to improve the firmness of skin to prevent sagging, reduce fine line and wrinkles, and lift facial zones. One thing to keep in mind about this product is that it’s a gel, so it is somewhat sticky. 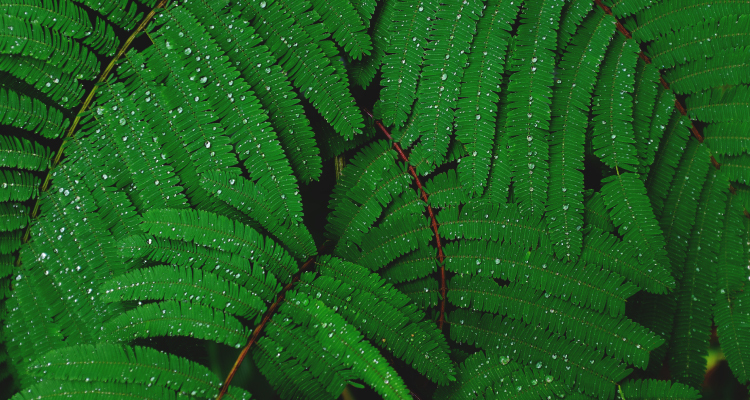 Some appreciate this texture as it offers a hydrating and cooling effect that can be soothing for the skin. However, others prefer the cream formula of the other products. 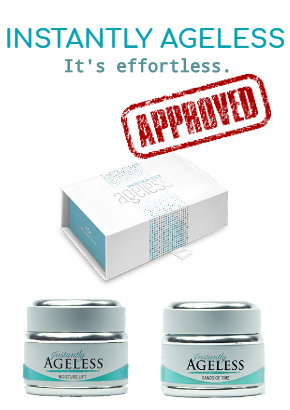 Just like the other products in this kit, the anti-wrinkle firming night treatment is also paraben free. If you’re currently in the market for a new anti-aging cream, check out how this product compares to the best wrinkle creams we’ve tried. Similar to the Anti-Wrinkle Firming Night Treatment, this product works overnight to regenerate the skin and correct signs of aging. The texture of this cream is slightly thick. However, it is easy to apply and sinks into the skin fully after a few hours. Compared to the to the other products in this kit, the Deep Cellular Regeneration Cream has received mixed reviews with some praising the product, while others prefer the night treatment on its own. Once you wake up in the morning, the Complete Age Defense Day Cream can offer all-day long protection and nourishment for your skin. The cream can be worn underneath foundation to moisturize the skin and give it a youthful glow. One of the major benefits of this Advanced Dermatology cream is that it can help safeguard your skin from environmental pollutants that speed up aging. Also, the potent antioxidant properties can rid the skin of unwanted toxins. This is an optional step. 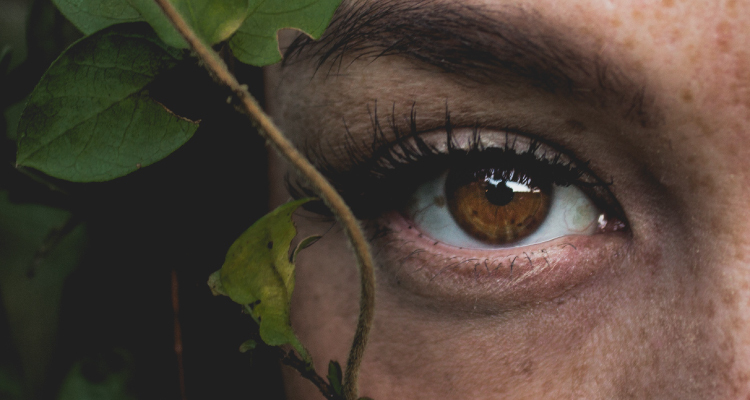 If you struggle with dark under-eye circles or fatigued-looking bags under the eyes, the Youthful Boost Eye Cream could be the perfect product for you. This Advanced Dermatology item is a bonus in the kit and is considered optional by the advanced derm. Considered a ‘next-generation product’ by the company, this product can help minimize the effects of aging around the eyes to significantly improve the appearance of the skin. From NYC to Colorado, Memphis, TN, to Phoenix, AZ, consumers across the nation have tried Advanced Dermatology with varying results. Based on reviews, many have found success with these products, comparing them to items sold by Paula’s Choice, Sephora, and Rodan and Fields (for a comparison of Advanced Dermatology vs. Rodan and Fields, click here). 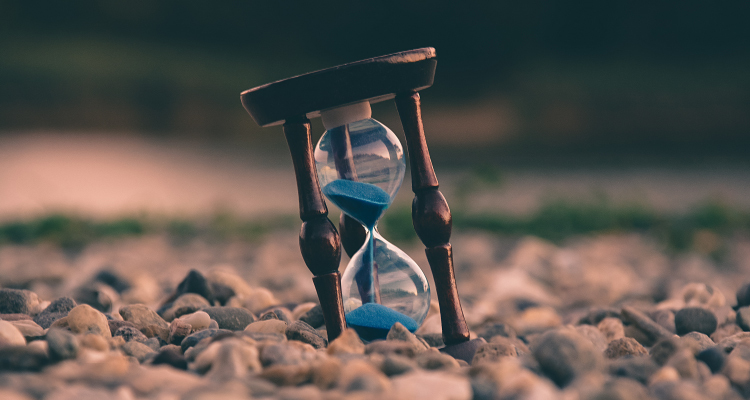 Some have even claimed that Advanced Dermatology produces one of the best anti-wrinkle creams on the market, especially when used consistently over time. Based on our research, Advanced Dermatology is formulated with several ingredients that have been clinically proven to provide anti-aging benefits. A review of the kit reveals a comprehensive approach to skincare that works to reverse the effects of aging from the inside out by boosting collagen production and utilizing natural antioxidants to cleanse the skin. Final Verdict: Does the Kit Work? Depending on your unique skincare needs, the Advanced Dermatology product line may or may not be right for you. Many people have found success with Advanced Dermatology, boasting impressive before and after photos. If you are looking for a product that is paraben-free, this line is possibly one of the best on the market. Rather than using harsh preservatives, the company uses lighter substitutes that are much gentler on the skin. 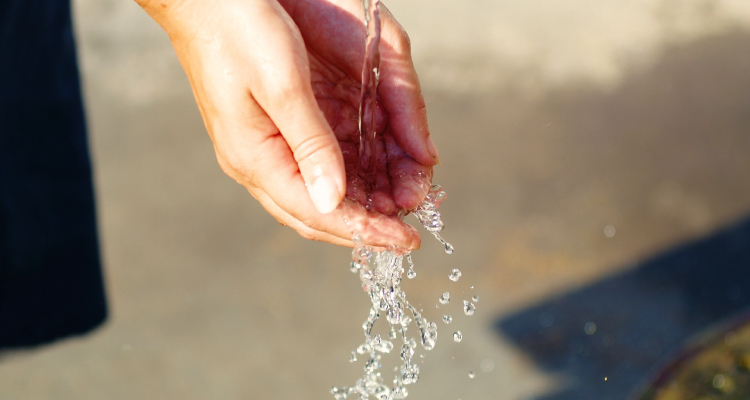 In recent years consumers have become even more aware of the harmful effects of parabens, with many switching out older products for those that offer paraben-free formulas. For this reason, it is nice to see that Advanced Dermatology is on the cutting edge—an advantage dermatology products often lack. While many have praised Advanced Dermatology for its many benefits and impressive results, this kit is not for everyone. We found that those with normal to oily skin tended to have better results using the system, while those with dry skin found some of the steps more useful than others. One of the most significant advantages of this line is that it includes so many different types of products, making it easy to find one that works for your needs. For example, some people prefer to wear skin care products at night rather than under their foundation during the day. Others prefer to use anti-aging products first thing in the morning to moisturize their skin, but prefer to go to bed with a fresh face. Whatever your preference may be, Advanced Dermatology makes it easy to find a product that fits into your skincare routine easily. We hope that after reading this review, you have a better understanding of how each of the products works to minimize the effects of aging. If you are interested in trying the brand, we recommend investing in the kit in order to get the best results. While the products can perform on their own, they are formulated to work even better together. There are currently a couple of different places to purchase Advanced Dermatology. This is a relatively new brand, so it is not now being sold in major retail locations like Sephora or Ulta; however, you can purchase it online. The company offers the entire system on their website advanceddermatology.com (not advancedderm.com or advanceddermcom) and it can be found from a few other reputable sources as well. Advanced Dermatology strongly encourages consumers to use the individual skincare products together as a system. However, sellers on Amazon and eBay do offer the products individually for those who wish to experiment with the brand before purchasing the whole kit. If you are interested in buying Advanced Dermatology, we encourage you to browse products from our recommended sellers. These sellers are carefully selected for their reputations and competitive rates. If you are looking for an alternative, LifeCell is an excellent option. 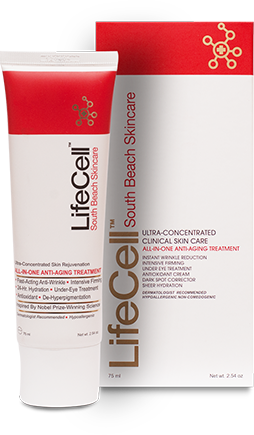 LifeCell South Beach Skin Care contains light-reflecting ingredients to make you look younger, almost immediately. LifeCell is formulated with the finest ingredients to make your wrinkles and fine lines virtually disappear. It is truly a breakthrough in the anti-aging category.